After a devastating performance in Arizona last week, Tiger Woods finds himself outside the top 50 in the world golf rankings. To many people, Woods is still the best player on the PGA Tour. Sadly, I fear that those days are past. Woods mental edge over the competition has faded over the years and his performances in majors has suffered. He’s often faded on the weekend despite rising back to the top of the rankings roughly two years ago. Woods won the PGA Tour Player of the Year in 2013 but failed to win a major championship. Injuries have cost Woods several years of his prime. Woods suffered numerous injuries to his left knee and back since 2008. These injuries have limited Woods practice time and he’s lost significant time in terms of playing tournaments. Woods already played one of the slightest PGA Tour schedules, so when he is forced to miss such a significant amount of time, he is not getting enough competitive rounds in to keep his game in elite form. Tiger Woods has always stated that chasing Jack Nicklaus and his record of 18 major championships was his ultimate goal. Woods must win 19 majors to top Nicklaus, he currently has won 14 and is 39 yrs. old. The likelihood that he will win the needed 5 majors over the rest of his PGA Tour career dwindles each year he fails to add to his total. The number of major championship winners over the age of 40 is quite low, especially when discussing winners over the age of 45. Woods was ahead of pace for the greater part of his career. Analysts have stated that Woods best friend was time early on in his pursuit of the record. He was lapping the rest of the field in terms of work ethic, physical fitness, skill, and mental toughness. Woods enjoyed his greatest successes under coaches Butch Harmon and Hank Haney. Woods now works with Chris Como. Should we believe that Como will be able to guide Woods back into form? Woods poor showing in Phoenix may not be entirely indicative of his prospects working with Como this season. He may adapt to the new movements and put together a competent performance in his next tournament. However, I worry that his skills are degrading on a similar pace as many other players who are nearing 40. Woods may even be in a worse predicament because of the known physical issues, it is likely that he is even more on the clock than other players. 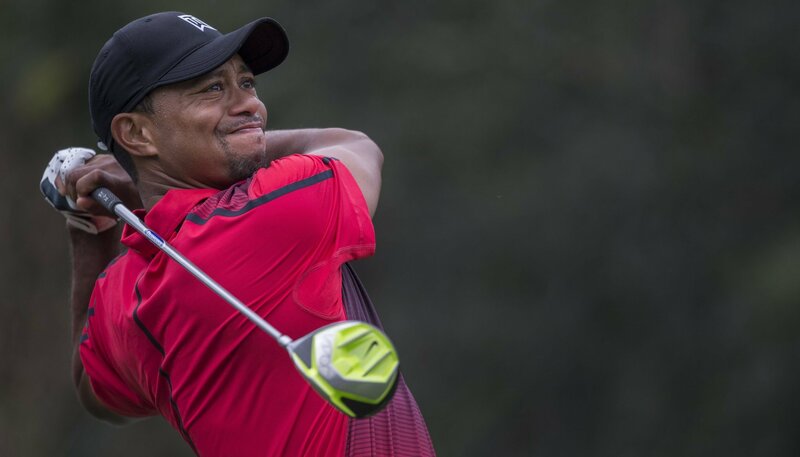 The knee issues aside, which can be worked with by changing swing movements, it will be Woods’ back that must allow him to put in the practice time in his preparation. One needs only look at the statistics to see that Woods driving of the ball, ability to hit greens in regulation, and putting averages have dipped significantly in recent years. As Woods continues to get older, he’ll need to muster up another 5 majors to break Nicklaus’ record. His age is now a concern and back problems will likely persist through the remainder of his career. Even with a generous estimation of Woods playing on the PGA Tour until he is 50 years old, he would need to win a major once every two years to break the record. Factor in that the oldest player to ever win a major was Julius Boros (48 years old) in 1968 and Woods has only 9 years in order to do so. Nicklaus didn’t win any majors after age 46 (ironically the 2nd oldest player to ever win a major) and he’s the greatest major champion in the PGA Tour’s history. Woods has long been the face of the PGA Tour and is debatably the greatest player the PGA Tour has ever seen. Unfortunately, the odds that Woods has another stretch of success that would be long enough to encompass enough time to win 5 majors is marginal. The number is daunting and Woods is yet to put together a streak of successful weekends in major titles in recent years. The Masters is only two months away, so Woods must develop quickly. The clock is ticking.